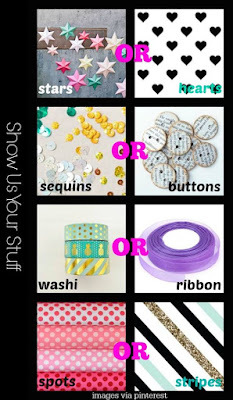 Today, I'm sharing a layout for the this-or-that-challenge of show us your stuff. 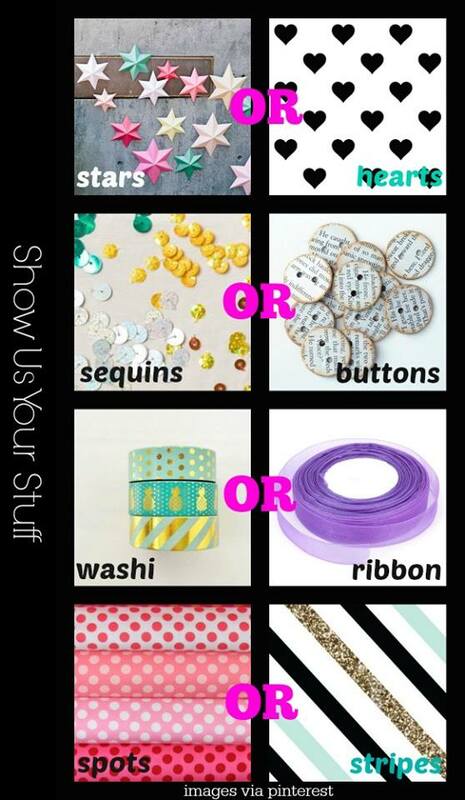 I used: stars, sequins, a ribbon and spots. My handmade items are the trees. 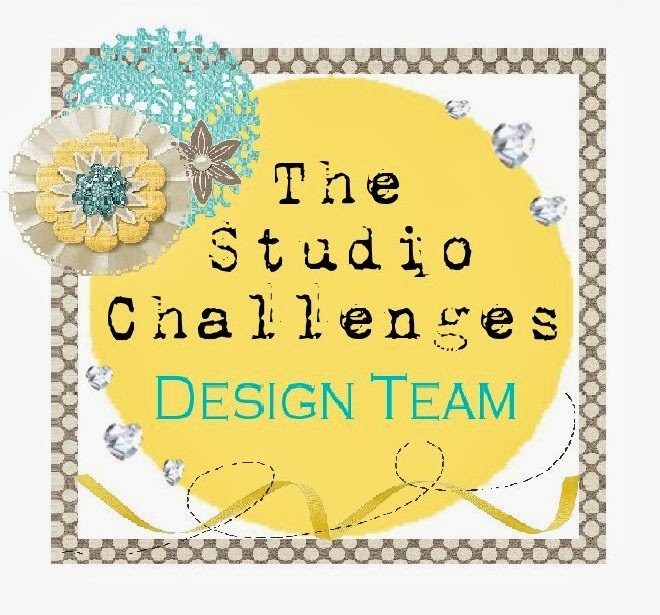 I used black cardstock as background and applied some shimmering embellishment mousse (spring green) with a roller brayer. After that I splotted some green and yellow acrylic paint onto my paper. The cristmas trees are a cut file from the cut shoppe. I backed them with some paper from my stash. Love your layout, the trees look great. Sometimes we rely to much on commercially bought products - when you can make something better. Thanks for joining us at SUYS.